Kwara State Governor, Alhaji Abdulfatah Ahmed, thursday cautioned Inspector General of Police (IG), Mr. Ibrahim Idris against linking him and Senate president, Dr. Abubakar Bukola Saraki, with the suspected cultists arrested in Ilorin, the state capital, and transferred by the Nigeria Police Force to Abuja. The IG and Saraki last Wednesday traded words over the recent order to move four out of 17 suspected cultists to Nigeria police force headquarters in Abuja for further investigations on the alleged activities of the cultists in the state. In a statement issued thursday by the governorâ€™s media aide, Dr. Muyideen Akorede, Ahmed said neither him nor the Senate president or any of their aides have links with the suspected cultists or their alleged activities. 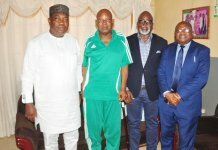 He also denied any knowledge of or intention to harm any individual as the political leadership in the state has never used violence as a political tool. The statement referred the public to the parade of the suspects by the state commissioner of police, Mr. Aminu Pai Saleh, on May 10, 2018, in Ilorin, during which he announced that the suspects were arrested for alleged murder and membership of cult groups but made no mention of any confessional statement linking their activities to any sponsors. Ahmed described the alleged killings as the outcome of clashes between rival cults in the state as most victims have been identified by security agencies as members of cult groups. The governor emphasised that the growing problem of cultism and cult-related criminalities formed the basis of his charge to the new Kwara State Commissioner of Police, Saleh, to focus on ending the menace on his resumption last month. He said the government has accordingly amended the state cultism law to prescribe stiffer penalties for convicts and those who aid and abet them, besides providing operational support to all security agencies in the state in their fight against all forms of criminalities, including cultism. Ahmed warned that cultism is a serious security challenge which should neither be trivialised and turned into a political tool nor be treated with levity. 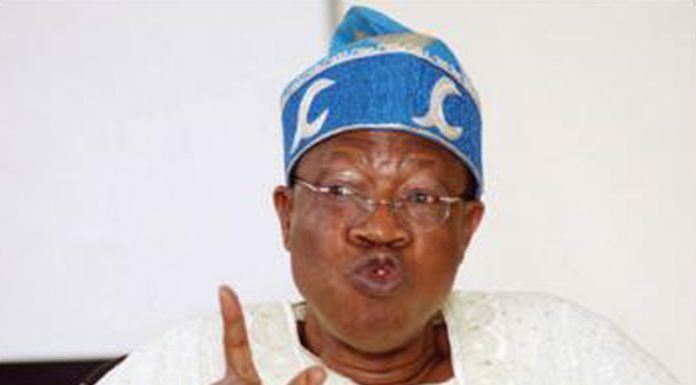 He urged well-meaning Nigerians to disregard any attempt to politicise the menace of cultism but focus instead on joining hands with the government and security agencies to bring the menace to an end in the interest of public safety while allowing the rule of law and justice to prevail in the matter. 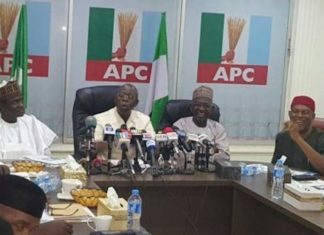 Meanwhile, some All Progressives Congress (APC) youths in Kwara South senatorial district of Kwara State yesterday raised the alarm over alleged intimidation of its members by the federal government as a result of the outcome of the just concluded ward congresses held in the state. Already, they claimed eight persons including the youths leader of the Irepodun Local Government Council, Hon. Samson Bada, the Speaker of the local government who is also Chairman, Councillors Forum in the state, Hon. Habeeb Abdulkadir, among others have been arrested, detained and moved to Nigeria police headquarters, Abuja for further investigations. Speaking at a press conference in Ilorin yesterday, the youths leader of the senatorial district, Mr. Tomiwa Kolawole, accused the minister of Information and Culture, Alhaji Lai Muhammed of the brain behind the arrest of his members. He said the minister visited the Inspector General of Police in Abuja on Monday where he allegedly orchestrated the arrest of his members. Muhammed, according to him, was said to be angry over the dismal performance of his candidate in the last ward congress in the state where his candidate scored 36 votes while the Sarakiâ€™s candidate scored 453 votes during the Oro Ward 2 in Irepodun Local Government Council of the state. He said the police, in the exercise of its constitutional responsibility, do not need to be goaded by anyone to carry out arrests where necessary. Concerning the outcome of the election in his Oro Ward 2, Muhammed stated that his observations on the conduct of the election has been made known to the appropriate party authorities in line with his strong belief in the rule of law.